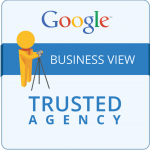 It is the mission of Business Photos America to be the industry leader in the distribution of top quality Google Business View Tours and related services to the retail, service, hospitality, industrial, professional, and institutional markets in the areas we serve. We will strive to provide top quality and innovative products, value-added services, and systems that contribute toward a better community through effective communication, education, and training for our valued customers and employees. We have a sound set of values on which we base all of our policies and actions. The most important factors in our success are faith in and obedience to these values. In order to meet the challenge of our changing world, we must be prepared to change everything about ourselves—except these values—as we move forward. The basic vision, spirit, and drive of our organization has far more to do with our achievements than do such factors as economic trends, organizational structure and timing. These are obviously important, but they will be transcended by how strongly we believe in our basic values and how faithfully we live by them. Excellence—The conviction that Business Photos America as an organization should pursue all tasks with the objective of accomplishing them in a timely and superior way. Growth and Possibilities—A willingness to create the future. Customers—Serving the customer is the focus of every thing we do. Our commitment is to develop and maintain mutually beneficial partnerships with our customers. We will treat our customers with respect and integrity and can be counted on to keep our word. We listen to our customers. We create solutions through communication, training, and education and by providing innovative systems, quality products, and value-added services. People—The people at Business Photos America are our most valuable resource. Our commitment is to support their personal growth and development, recognize and reward their contributions, promote their role in serving the customer, and provide a safe work environment in a culture that supports one hundred percent participation and teamwork. Our success is measured by the success of our people.